Do you have a leaking roof? Are you noticing brown spots on your ceiling? Don’t neglect arguably the most important part of your home, your roof. Your roof protects the entire structure under it. A small roof leak can create an array of problems from rafter rot to mold. Most of the time preventing or fixing these small roof leaks is inexpensive and very quick. 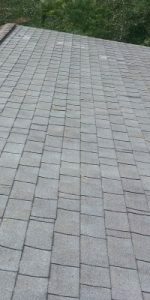 We can match most any shingle to keep you home looking good from the road. With the weather being unpredictable this time of year you never know when a strong thunderstorm will move through your area. 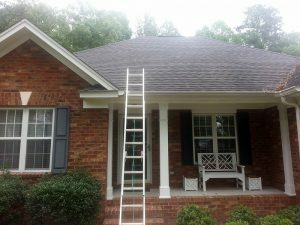 Sands Enterprises is ready to act quickly whether you need a tarp, small shingle repair to an entire roof replacement we are here to give you a truly professional roofing expert you and your family can count on. Sometimes after a weather event you can find yourself waiting on your insurance company to send an adjuster to inspect your roof. 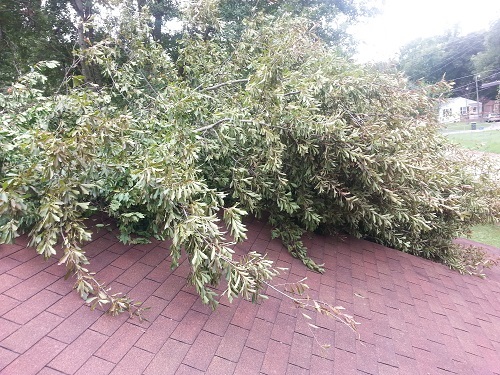 In almost 100% of the cases we have seen the carrier will not only reimburse you for a tarp but they encourage a roofer to be present during the inspection to remove and replace the tarp.